I first knew I wanted to be a writer when I was in the fifth grade. We had to write stories in a composition book for a grade. I can't remember if it was every week, but I remember always writing in mine, sitting on a brown beanbag in the classroom. It wasn't until eighth grade that I create a series. My English teacher allowed me to write an episode, if you will, each week for a grade. I also started to write poems during this time. I kept up writing for this series after I left middle school. I still have the composition books and everything that I typed out from that series (via a word processor) stored away. I knew as a fifth grader that I wanted to be a written when I grew up, I just didn't know how to go about it. However, none of that ever stopped me from writing, and it was a way to escape my own reality. Please tell us something about your book and what inspired you to write it. The first book, ‘Normality Twisted,’ is the origin story for the hero, JB. She discovers that she's been reincarnated and her abilities from her past life have bled over to her current one. She takes the name of Anya to help separate real life from what should be fantasy however that is easier said than done. An entity has attached herself to Anya's soul and she wants out. ‘Normality Twisted’ is a story of a normal teenager in middle school who has just been thrown a ton of responsibilities and super powers to boot. Do you have a muse? How about some writing rituals? Even when I was younger, music has always been my muse. The type of music that I listen to will depend upon the type of material that I am writing. I also get inspiration from places that I have been. I try to capture a scene in my mind to use for later. I still enjoy writing in a notebook. I try to always carry one with me when I go out. If I get an idea or a thought and I don't have my notebook on me, then I'll use the digital notebook on my phone. Are you a plotter or a pantser? I have found that most fantasy writers let the characters take the wheel, but every writer is different. I have an idea of what I want to do with the ‘Phoenix Element Series.’ Sometimes those plans take a different turn since my characters do like to take over. Therefore, I am a pantser. Things have happened in my book that were not planned but had to happen because of the direction it was going. Is there any truth to your novel... maybe something that you borrowed from real life? I was told to write what I know when I was in school, and I listened to those lessons. Yes, there's some truth sprinkled throughout ‘Normality Twisted,’ which I think makes the novel feel more realistic. Who are your favorite authors and what are you reading now? Is there anything lined up as "to-read" on your Kindle? I read a lot of Christopher Pike when I was younger. My favorite book from him and quite possibly over all is ‘The Starlight Crystal.’ I still own my original copy. I don't own a Kindle and I still read physical copies of books. I'm currently reading ‘The Dragonlance Chronicles’ by Margaret Weis and Tracy Hickman. My husband has been trying to get me to read this series for at least ten years. I think I appreciate reading ‘The Dragonlance Chronicles’ more now since I've started to play Dungeons and Dragons. Please tell our readers where they can get more information on your book. 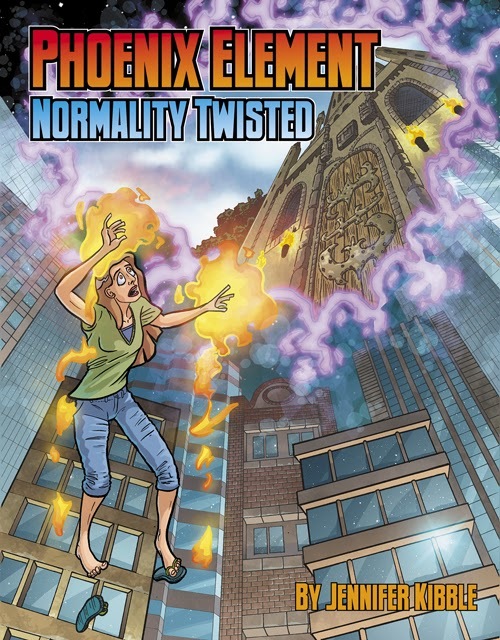 ‘Phoenix Element: Normality Twisted’ is being published by Black Rose Writing and will be available starting December 5th. I have a Facebook page that I would love for you to visit and “like” while you’re there. 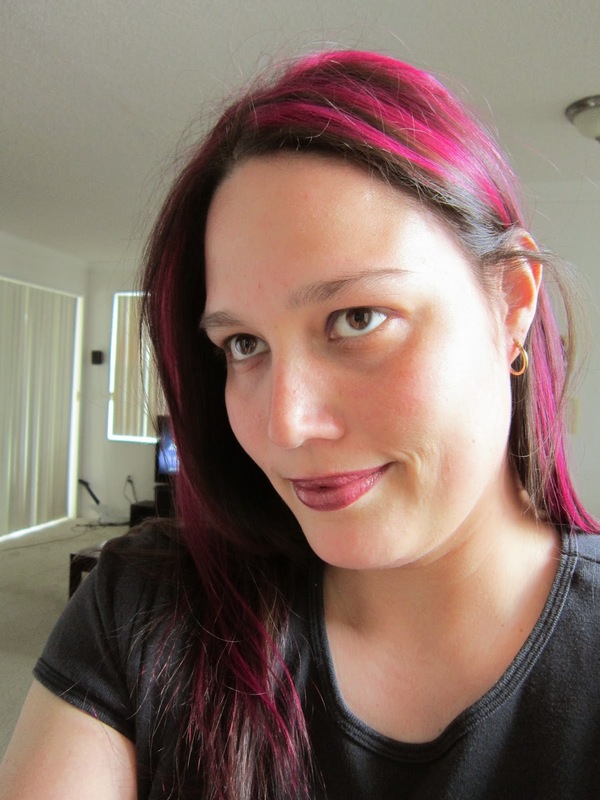 This will help you get daily updates on my books and events. Thank you, Judy, for taking the time to interview me. I hope your readers will take a look at my book.